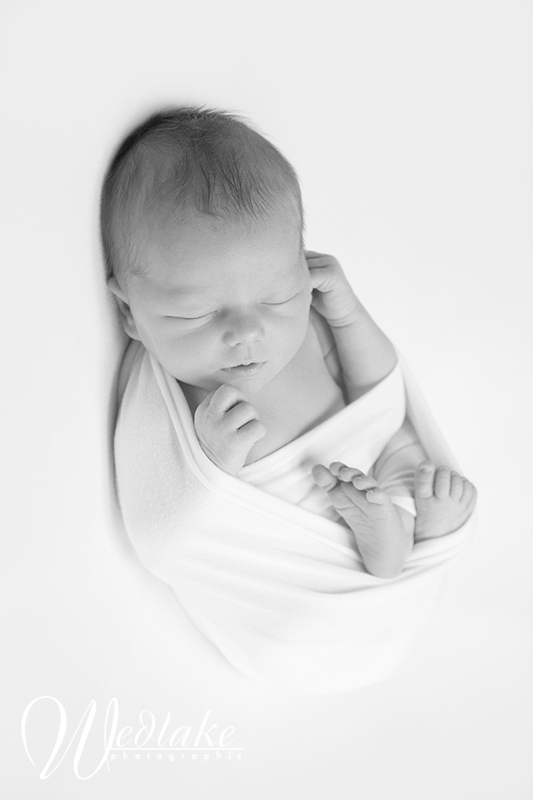 I’ve really adapted and refined my style of newborn photography over the years. Oh man, let me tell you when I started out I had one black background and no idea how to pose a newborn. I have photos of my firstborn son awkwardly laying on that black background at about one week of age. It’s what his crowd now would call, “cringy”, ha ha. Ah well, live and learn! 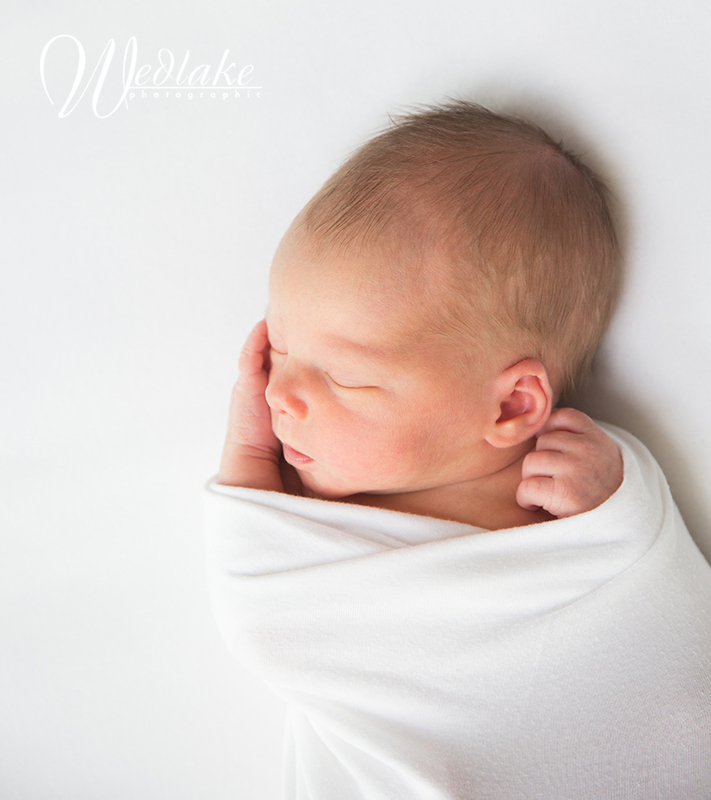 After that short phase I started collecting all kinds of brightly colored blankets and throws and my work become more colorful, I also learned a few simple but solid newborn poses which carried me through the next ten years or so. It helped that I was a seasoned mom with two babies of my own at this point. Weddings remained my main focus but I learned enough to photograph my former wedding couples new babies reasonably well. 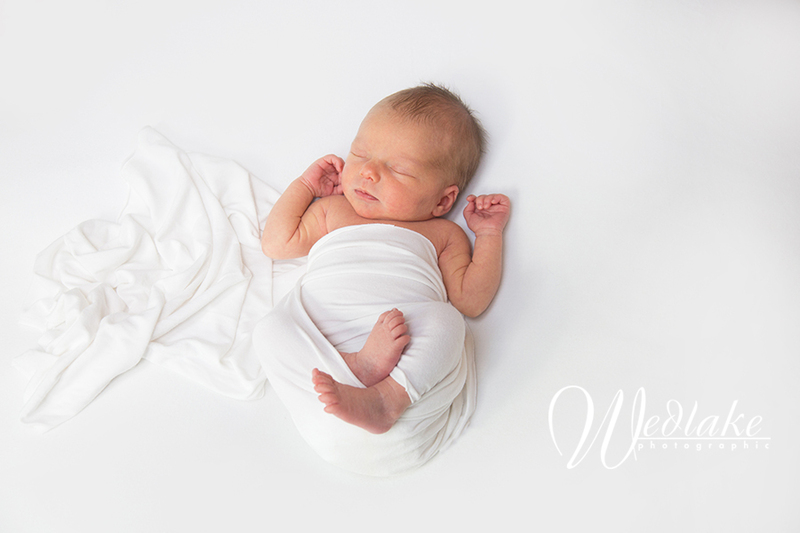 Starting out wrapped helps baby settle in and feel cozy and they tend to do those little things so typical of newborns – a hand to a face or arms up and feet tucked. I might half unwrap them to get more of natural baby pose. Naked with bum up is always a favorite. If siblings are around they get in the picture, too! And of course a family portrait – I keep this casual, usually on the couch or mom and dad’s bed. I like to do some with just mommy … then some with just daddy. Y’all know I’m a big fan of natural light and black and white. And who can resist a few detail shots. The little baby toes, you guys! It’s an honor to be invited into the home of a new baby to photograph those incredibly special first days. Truly. What I once found difficult to capture due to lack of knowledge and experience, I now find to be such a joy!